According to Nestpick, downtown is Toronto’s most expensive area, but only the 233rd-most unaffordable neighbourhood in the 50 cities surveyed. Everyone knows Toronto has an affordability problem, but is it a world-class affordability crisis? Not according to a ranking by Berlin-based apartment listings service Nestpick, which found that, out of 50 of the highest-demand cities in the world, Toronto is middle of the pack in terms of costs for renters. Nestpick, which says it has aggregated more than 500,000 apartment listings in 200 cities, crunched the numbers on the most expensive neighbourhoods (many of the areas that are actually so large they should be called sub-regions of cities) and tried to figure out what kind of wages a solo worker would need to earn in the local market in order to rent a sweet pad in a swanky area. Its top 50 were selected as being both economic engines adding the most jobs, or lifestyle-oriented cities (such as resort-havens such as Monaco). Turns out Toronto is only the 27th most expensive city to rent in. On a neighbourhood scale, downtown was Toronto’s most expensive area, but only the 233rd-most unaffordable neighbourhood in the 50 cities surveyed. Mid-town and the inner suburbs weren’t far behind. Nestpick calculates a minimum wage worker would need to toil 195 hours a month to afford to rent a single-person apartment in Downtown Toronto (once you get your 40-hour weeks in you only need to find another 30 hours of side-hustle/overtime, apparently). This calculation is based on their estimate that an upscale Toronto renter would need to earn $5,499 a month to afford a one-bedroom, or $8,499 for a family-size apartment (two-plus bedrooms). The city-wide average suggests 143 hours a month could net that singles apartment – about 67 per cent of disposable income. The most expensive neighborhoods in the world – in terms of minimum salary required to afford a single-person apartment – are located in Monaco, Seoul, Bermuda and San Francisco. There are some cities (mainly in Asia) where rents are completely disconnected from the minimum wage or lowest available wage; in Shanghai the most expensive neighbourhood would require the lowest-paid workers to clone themselves or invent a time machine to churn out the required 825 hours a month to afford an apartment. Downtown Los Angeles is the most out-of-reach area for minimum-wage workers in North America (though at a much more reasonable 374 hours per month to afford a pad). Montreal also showed up in the report; the Vieux-Montreal neighbourhood’s prices are more than double the city’s average (222 per cent more expensive). Renters would be advised to find an apartment in Ahuntsic/Cartierville, where rents are just 45 per cent of the city’s median price. For family-living, London, San Francisco, Hong Kong and Manhattan required the highest monthly salaries to live in the priciest neighbourhoods (somewhere between $21,603 and $15,000 a month). Again, downtown Toronto is a relative bargain at under $9,000 a month. The Canadian Rental Housing Index,a project built by a collection of non-profit housing associations, digs a little deeper into what Toronto’s unaffordability looks like. In Toronto, 47 per cent of households were spending more than 30 per cent of income on rent and utilities, and another 23 per cent are even worse off spending 50 per cent of income. As much as 19 per cent of households are over-crowded. This is a city with more than 524,000 rental households, compared to the more than 586,000 owner-occupied households. 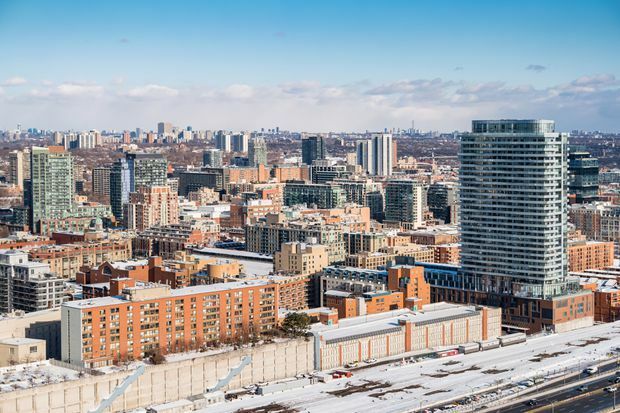 In an effort to tackle the issue, Toronto city council has pushed for 11 city-owned sites to be developed into more than 10,000 units, a portion of which are intended to be rented below market. Mayor John Tory made those projects of his pledge to get 40,000 units of affordable housing built over 12 years. Nestpick’s survey only looks at renting. If you’re hoping to buy, a whole other set of calculations is required. Point2Homes, a North American real estate search site, recently released data on what Canadians hoping to own a home – particularly first-time buyers or the budget conscious – should look at. Point2Homes found that Canadian property hunters aspire to detached and semi-detached home ownership (those housing types are searched online 7 per cent more often than other housing types), but the most likely property these searchers will buy is a two-bedroom condo. And they are more likely to pay a little extra for lake views than mountain views. As for where to buy, Toronto is not on the affordable list. The most affordable communities with lots of units for sale in Canada are Saskatoon, Regina and Winnipeg; all markets with properties for sale under $100,000. If you’re willing to push the budget to $200,000, Windsor, Ottawa or Halifax are the places to look.